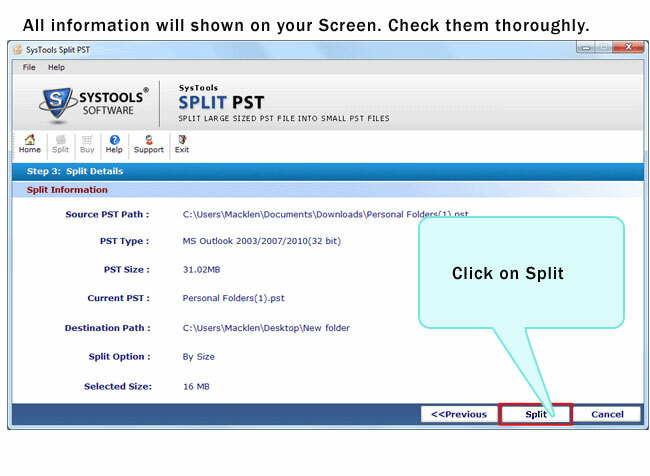 Split PST software to Divide Outlook PST Journals, Notes, Contacts, Calendar, Task etc!! Split PST Software: Expert In Managing Outlook Data!! To make MS Outlook work smoothly, it is necessary that its data file, i.e. PST is managed properly. Operations like how PST file is relocated, shared, moved, everything affects performance of Outlook and data accessibility. ANSI PST file if grows larger than 2GB size, it restricts user to open PST file. This happens because PST file gets corrupt due to being oversized. Unicode PST file although offers large capacity to store data but if it reaches more than half of default limit, it can cause Outlook operations to be completed with a delay. So, for managing PST file size, the idea is to split it into small parts. With our Split PST software, we give the advantage to split PST file by size, folder, date, and year. The solution is framed with a simple interface so that within clicks, the PST file with reduced size is available to be used. If this option is selected, software will give an option to specify a date and will split PST file into two parts. One PST file will contain data that has been saved before the specified date and another with data saved after specified date. In this option, software will ask to define a size for PST file and will split PST into equal sections of that size. For example: If the PST file is of 10GB and the size defined is 2GB, the split PST software will generate 5 PST files of 2GB size. This will help to create a PST file for every folder, i.e. a separated PST file for every folder (inbox, outbox, deleted items etc) will get created. The software also gives the option to specify a size and it will generate PST file of that size. Split PST software has the option to manage large sized PST file according to year. It gives option to define two years in the text box for �From� and �To� and will extract PST file data of that defined year time. Valuable Features of Split PST !! 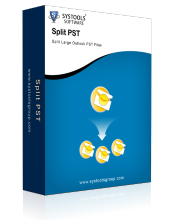 By using PST Splitter Software, One can easily improve Outlook PST performance by reducing oversize PST by Dividing them into smaller parts.This professionally designed Split PST application helps to split entire Outlook data files into multiple files by Year, Size, Data, and Folder. Split PST in Bulk !! 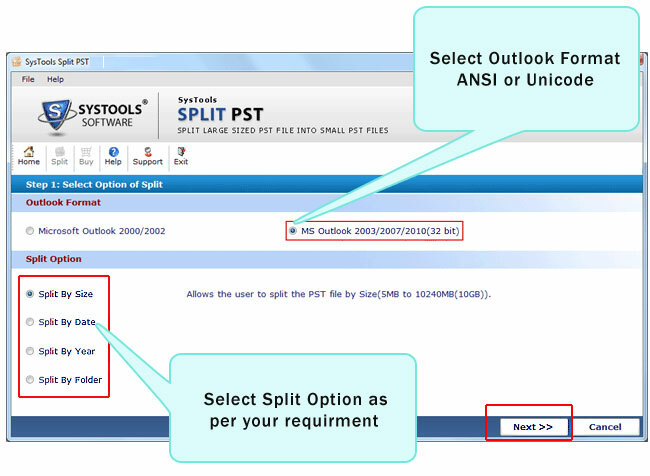 Split Microsoft Outlook PST file into smaller parts of any of the MS� Outlook versions - ANSI or UNICODE.The software has capability to split unlimited PST files into multiple smaller parts without any dataloss.The users create back up and save splitted item as at secure location , as refer in case Outlook PST gets corrupt. Split PST software with its advance version 4.1 has capabilty to split entire Outlook mailbox like journals, Notes, calendars, task, contacts, ect into multiple smaller parts. All META DATA like attachments, cc, bcc, sent/receive etc as it is during the process. Split Outlook PST Software helps you to divide all large and bulky sized PST files using Outlook 97/98/2000/2002/2003/2007/2010 (32 bit) and 64 bit ).Tool is compatible with most Windows versions like Win 7, Vista, XP, 2000, 2003 and 98 including Win 8. 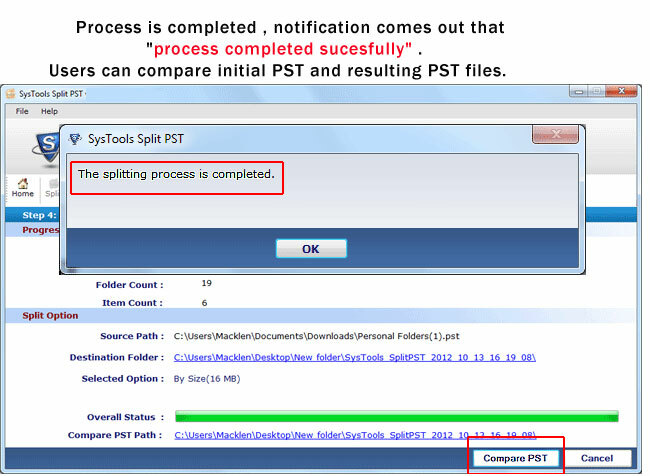 Split Outlook PST Tool create new PST file for each folder like Inbox, Outbox, Sent items, Contacts, Journals etc. that allows you to save PST files at your defined locations. 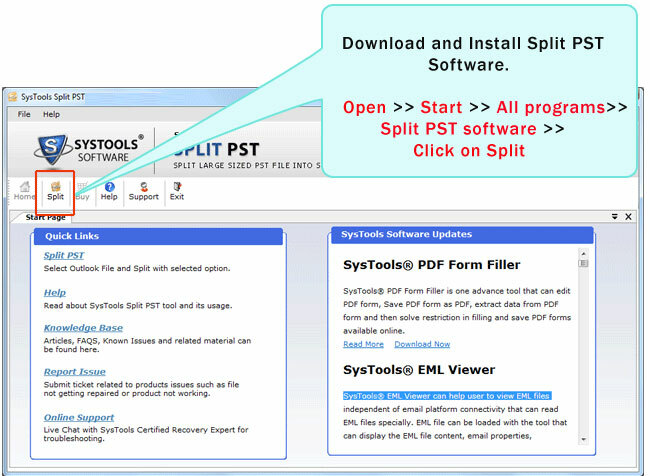 Free version of split PST software can be downloaded to have an idea of how the solution works and to determine its precision factor. With freeware, it is possible to split first 50 emails from PST folders (when split by size, year, and date) and 10 emails per folder (when split by folder). If the results for split PST software have been satisfying, then move to licensed edition of tool that allows splitting without any limits. The complete version of tool is available in three different licenses that will help in making investment as per requirement. You can Purchse Full version at $49 for personal Key and $129 for business Key.